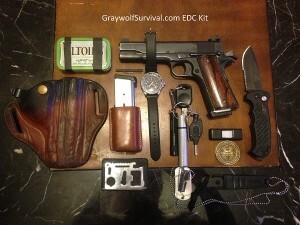 There are a lot of things that you could be carrying as part of your every day carry (EDC) gear. The problem is that you probably don’t have enough room to carry everything that you’d need in case of emergency. Getting some of these things can be pretty inexpensive if you just keep with the basics. There’s a whole following of people who make budget EDC kits that fit into an Altoids tin. I have one myself, and it’d be pretty awesome if I had it with me if I were stuck somewhere, but I find that even though it packs a lot of stuff, it’s a fairly bulky item to carry so I don’t always put it in my pocket. It now sits in a pouch as a part of my motorcycle EDC kit. When I have room though (and don’t forget to grab it), it goes in my on-person kit. The kind of EDC kit I’m talking about here today is spread out in different pockets, including on your keychain. That makes it easier to fit. I’ll have some more posts later about how to make an altoids tin EDC kit or a pouch kit. 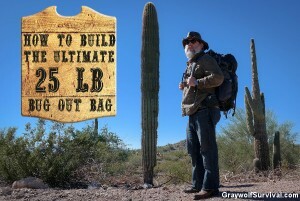 I’m sure most of you have heard of a bugout bag. It’s the bag you grab if you have to leave home or that you keep with you as you’re traveling in case something happens. A well-planned bag should give you enough things to survive with as long as you’ve learned how to use them properly – and have them with you. 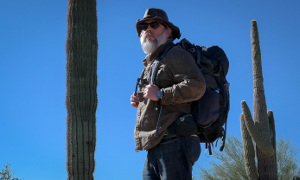 Obviously, you could survive much easier and better with a bugout bag but even though it may be within reach most of the time, it’s not actually on you. Unless you wear one of those crazy waist packs. Sure, they can pack a decent amount of stuff but you have to have some kind of fashion sense. Obviously, keeping things cheap is sometimes a priority. If you’re like most people, you have to prioritize where you spend your resources. Also, you don’t always have to spend a lot of money to get something that’ll work. Let’s look at an inexpensive (or free if you happen to have these things lying around) kit. Since this is a bare-bones, inexpensive EDC kit we’re looking at, your knife will have to be on the lower end as far as knives go. If you want a free knife that you can put in your pocket, Survival Life has a FREE folding credit card knife that would be great as a backup. Your knife is probably going to be the most expensive thing on the list though (unless you opt for a higher-end flashlight). You need the thing to work so I wouldn’t suggest a $3 piece of crap that you can find at your local car parts store. You need something that’ll work when you need it to or there’s no reason to have it in the first place. The best deal would probably be to find a used one at a garage sale or on Craig’s List or Backpage. Just do some research on the internet about any knife you find and take a good look at it to see that it’s still in good condition. One good example is the Smith & Wesson CK105H Extreme Ops Knife. It’s usually under $15 and has a pretty good reputation. It’s a folding knife with a pocket clip so you can carry it easily (and legal in most places). It’s stainless steel but not high-grade (or you wouldn’t be able to get it for under $15). Obviously, being able to start a fire is a huge advantage in a lot of survival situations. 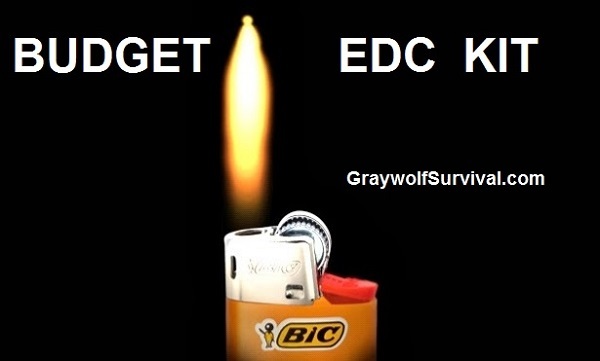 Even something as cheap and easy to find as a BIC disposable lighter can be a huge advantage to keeping warm and purifying water or cooking. These can be found usually for about a buck or less, or free if someone leaves one behind somewhere. You can also cut a strip of duct tape and wrap around it without adding too much bulk. This BIC thing is fantastic, btw. They last for years, don’t leak out their fuel like other ones do, and they’re just hella cheap. The ONLY way I’d spend more money on a lighter is to get a windproof one. Other than that, it’s a cheap BIC – hands down. I had a zippo for my personal EDC kit but I decided to go back to the BIC. I still have to update that article. Just like the knife mentioned above, Survival Life currently has a free Everstryke Match that works in pretty much any environment. 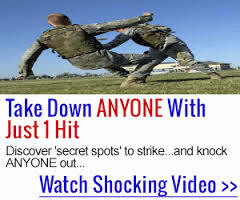 Watch the video and pick one up while it’s still going on. For a light, on the cheap end, you can’t beat a Cree 7w flashlight. It’s under $5 and pretty awesome. It’s also small enough to fit in your pocket and takes AA batteries. This baby’s super bright too. I even wrote a review about it after I picked up a couple as throwaway lights. Definitely a must-have for a budget EDC kit. For shelter, there’s not really a lot you can do in your EDC kit. My suggestion is to just get a couple of 84″x52″ mylar space blankets. They’re super cheap and fit in a back pocket with no problem. Just remember that these are a one-time use kind of thing and tear pretty easily. They make much better ones like the military combat casualty blanket but they’re bigger. For cordage, the problem is keeping it on you at all times. Probably your best solution is to get some unflavored dental floss. If the original packaging is too big to carry around, just pull the spool out of it and tie or tape down the end. You can get 55 yards of cordage his way. Another option to the dental floss is just getting some fishing line. The key is to just find a way to carry it efficiently so it doesn’t take up too much room. One of the best ways I know is to use a cheap plastic floss bobbin from an empty dental floss container or just get a pack of them for arts and crafts purposes. For an EDC kit, you have to stay small. If you’re not going to just eat plants and berries (hopefully you’ve studied the area you’re in beforehand to know what’s available and what’s poisonous), one of the best bang-for-your-buck foods is fish. 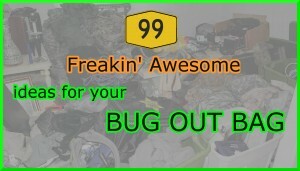 Your bugout bag may have a full-on mini fishing kit in it but you certainly can’t walk around with that in your pocket. For a fishing line, just use the dental floss or the fishing line from cordage section above. It’s always good to pack things that serve two purposes. You’ll need to have something on the end of the line to hold the bait and grab the little fishies when they strike. Fish hooks are pretty small and cheap so you might as well just throw a few of them in your kit. You’ll have to figure out what sizes you want to carry. The one problem with fish hooks is that they’re pretty sharp. I keep a couple in my hats that I wear all the time but if you want to put them in your pocket, you’ll have to put them in something. If you have the room, one of these mini survival tins are pretty awesome. You’ll just have to get the right size of fish hook to fit inside but at 3.9″ length x 2.45″ depth and .875″ height, they’ll fit some decent-sized ones. If you go that route, throw in a square of aluminum foil in it to keep them from bouncing around and to give you something you can make a field-expedient cup or cooking pan out of. I know I said I don’t always carry my Altoids tin survival kit but this one’s pretty small so it’s a lot easier. You can also just take a piece of cardboard, shove the hooks into the sides of it and wrap that with some aluminum foil. 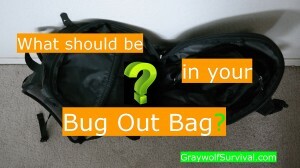 If you have the room, any smart EDC kit or bugout/GBH/GOOD/INCH bag will have duplicate items. One, because things have a habit of breaking or getting lost, and two, one solution may work in most circumstances but not work in another. A realistic budget EDC kit doesn’t allow you much but that doesn’t mean you don’t have choices. As they say, Two is one and one is none. Any good EDC kit will also have some kind of backup for everything you carry. I carry a keychain knife on my keyring (strangely enough). If you have the room, another full knife would be better but only if you’ll carry it. For backup, on the cheap end you might want to consider a cheap flint rod that you can carry. It’s a lot harder to start a fire with than a lighter in most cases but it never runs out of fuel and doesn’t care if it gets wet. It’s also super small, especially if you take off the handle and put the rod somewhere it won’t get lost. Also, at the moment (of writing so I don’t know if it’ll still be available by the time you read this), you can get a free Everstryke Match for just the cost of shipping, which is sealed so the fuel won’t leak out like a Zippo. Can’t beat that deal. For a budget backup light, it’s hard to beat a mini micro keychain light. You can also buy these in packs of 5 or 10 so you can stash them in lots of places. I was lucky that I got about 20 care packages when I was in Afghanistan and they usually had one or two in there so now I have several. I use them as zipper pulls on my bugout bag and other bags. Not much I can think of as far as backup shelter for an EDC kit. Maybe just get two more mylar blankets? Just remember, they’re not really blankets, though. I’d also suggest that you get a 550 cord bracelet as a backup. They’re cheap and easy to wear. After a couple of days, you’ll forget you even have it on you. Remember that a 550 cord can be pulled apart if you just need string instead of a super-strong cord. 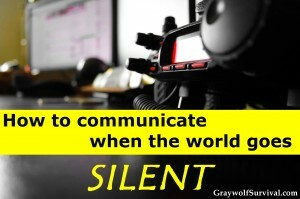 A kit like this budget kit should work in most survival situations and you can carry it at all times. The only downside is that the TSA nazis won’t let you keep a knife so if it gets stolen in your baggage or you end up making an unscheduled combat landing somewhere, you’re outta luck. There are options for that but one simple one would be to carry something that isn’t a knife that you could sharpen into one if you needed it – like a metal bookmark. So what about water? Remember that if you have a fire and something to hold water in, you can purify it. What do you have available that you could carry every day? You can’t solve everything with an EDC kit unless you expand your wardrobe or start carrying a purse (women can have pretty freaking awesome EDC kits that include things like survival bars and stuff). Also, you may want to spend some more money and extend your EDC kit with an office EDC kit or a vehicle EDC kit like I have on my motorcycle. Until then, at least get a budget kit and then start improving it as you go along. An EDC kit doesn’t have to be expensive. It just has to be useful and available when you need it. You need to look at what situations you want to plan for, figure you what you have available to you (money, pocket space, etc) and get what will work for you personally. One person’s kit isn’t gonna work for everyone. Different people have different skills and different priorities. The kit above is just to bump your imagination a bit. So what have you come up with for a cheap and easy kit that you actually carry every day? Add CELOX or QuikClot packet, Energy Chews (caffeinated, I like Nature Made chocolate), aspirin, purell mini, leather gauntlet wrist wallet (I carry an extra $ 300), chums paracord eyeglass retainer, wrapped around my Casio Pro-Trek watch (with mini clip on Brunton compass). Good ideas and a good place to start. A couple of trashbags are a great idea for a bugout bag but they’re too bulky to carry in your pocket as a part of your EDC. I disagree. Perhaps not a heavy-duty one, but I have an ordinary garbage bag rolled up into a tube slightly larger than a D battery And keep it in my altoids tin. I wrapped it in nylon cord/thread as a bobbin type thing. My edc kit is broken up between the tin and my keychain, so I have the space to spare, but it is good to know that (heavy duty or not) I could cut a face hole and have a little protection. I’ve tested it out and it is surprisngly resistant to holes, and I didn’t find that one or two mior tears made a huge difference. I’ve also made a small bivvy using it and my purse cord and found it effective in keeping me dry and warm against mild wind and rainfall. tl:dr an ordinary garbo bag works decently in a pinch and rolls up very small. Mentos Gum container holds= mini-bic wrapped with a foot of gorilla tape, water purification tablets, ferro rod, safety pin, CELOX packet, couple of band-aids, mini ziploc with aspirin, iburprophen, tylenol. While it may be better in a BOB, unwaxed dental floss is also excellent for sewing thread (practically unbreakable), as well as suturing. In my own EDC are several energy bars; also a few 2 min type noodles for carbs. ; and coffee, sugar, and full cream milk powder. Along with a very small solid fuel stove….Much more of food items in my BOB. Then more again in a slightly larger pack. Then again much more in my off road bicycle, off road motor bike trailer…. Thanks so much for those ideas. If maybe I could throw in my two cents…. I Have used the extreme ops before and have given it to a friend as a present. The steel used is sometimes 440c but most of the time it is 420 low carbon. It is a great knife for the money but I believe that for just 3-5 dollars more it would be better to get a Byrd knife, which designed by spyderco. The steel they use is the 8cr13mov which is also used by spyderco and CRKT and it is a great stainless steel. It holds an edge just fine (my m16 is the same steel) and it’s very easy to sharpen and clean. Plus some of the byrd knives (the caracara2 for example) is a larger type of knife with a lock blade and virtually indestructable polymer handle. All of that for a mere 20$ of a famous website of which the name takes after a mythical tribe of warrior princesses. I realize that for certain people 5$ is 5$ but to me a good knife and a good torch are essential. The rest can easily be scavenged, found and taken from friends (bic lighters for example). Probably a good idea would be to throw in a small wet stone of sorts to resharpen your cutting tool. The right kind of rock will do the trick if you can find one in your present location.